Can you believe Christmas is only 1 week away??? Luckily, that’s still enough time to make last minute decorations and pick up some fun stocking stuffers. 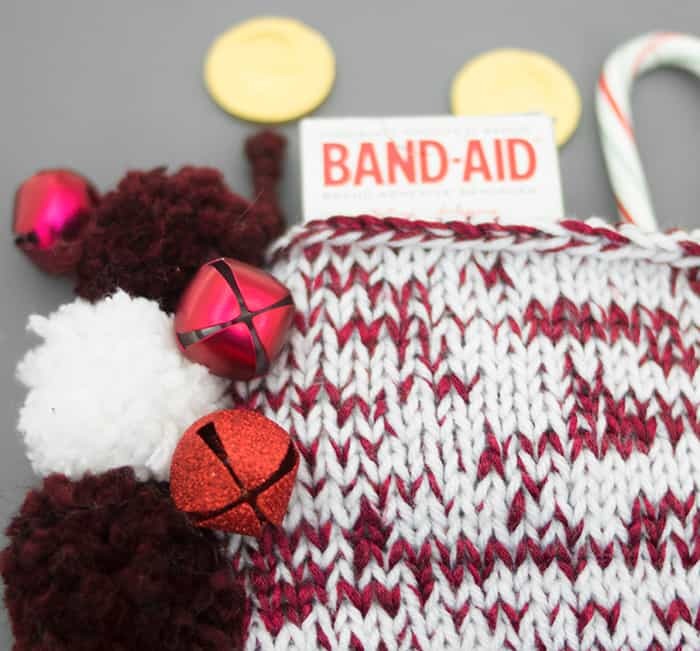 Today I teamed up with BAND-AID® Brand Adhesive Bandages to bring you this Easy Christmas Stocking Knitting Pattern. This stocking is beginner-friendly and it knits up fast- perfect for those of us who are short on time this holiday season! 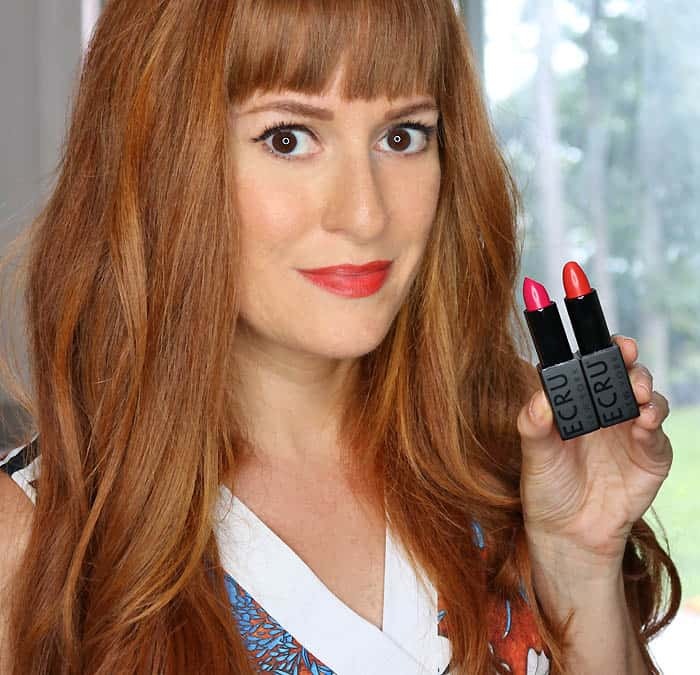 One thing that makes Christmas stocking so fun is, of course, the stocking stuffers! 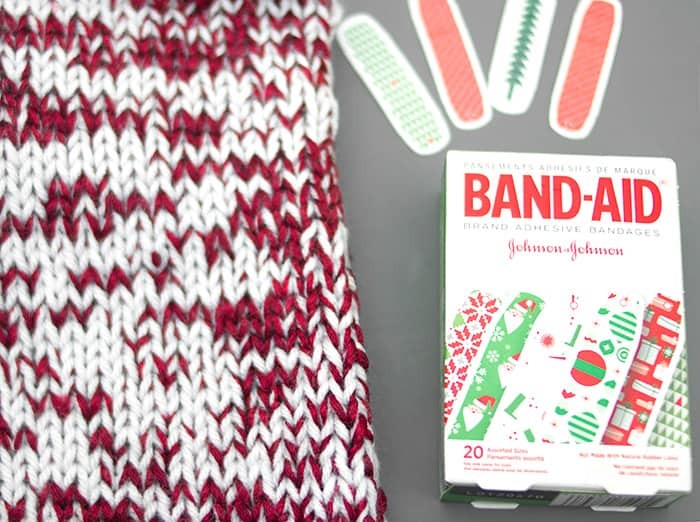 I always like to include some practical stocking stuffers, bonus point if they have cute holiday designs like these BAND-AID® Brand Adhesive Bandages holiday collection. 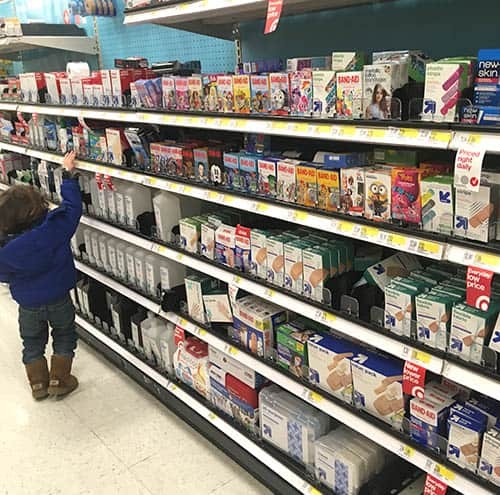 There’s even Paw Patrol and Star Wars BAND-AID® Brand Adhesive Bandages for kids. BAND-AID® is the #1 doctor recommended brand and they help cuts heal faster. Plus, they come in dozens of fun prints for everyone on your list! 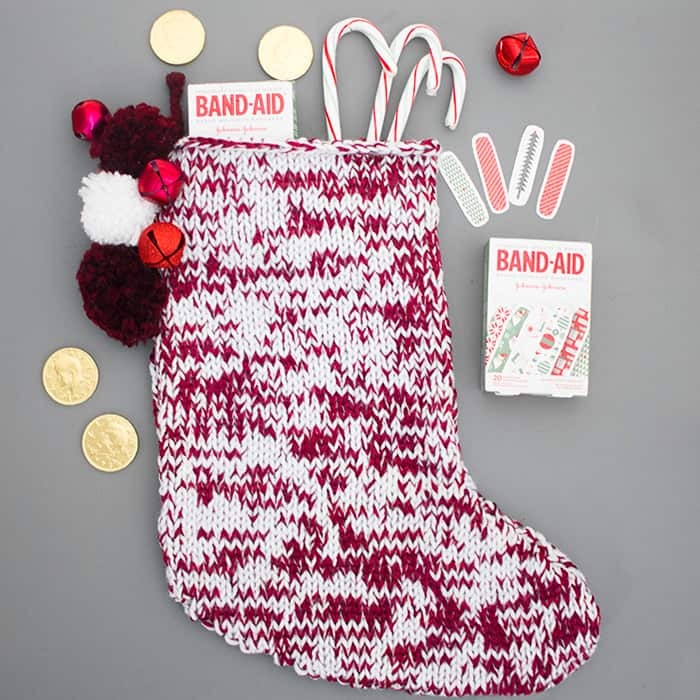 This Christmas stocking is knit flat in 2 pieces. The pretty design is created by knitting 2 different colors at the same time. Using both colors, Cast on 8 sts. Finishing: Sew side and bottom seams. Weave in ends. Make a attach pom poms to the side. Next time you’re in Target be sure to pick up BAND-AID® Brand Adhesive Bandages. For the week of 12/17 they’re 2 for $5! Why I have to buy those stockings all those year 🙁 Let's knit them next time! Thank you for sharing the pattern!